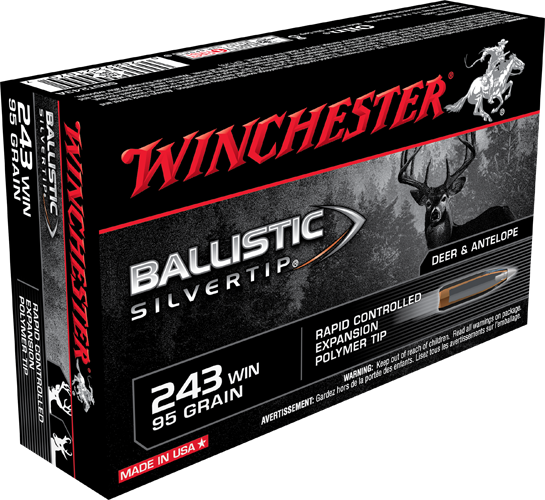 Winchester's Ballistic Silvertip ammo is just what you want when you head out for a hunt. 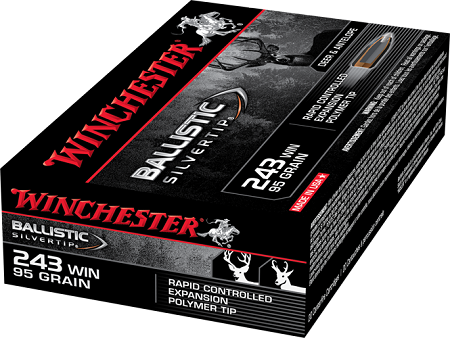 This round in .243 Winchester, uses a 95 Grain jacketed hollow point with a polymer ballistic tip. 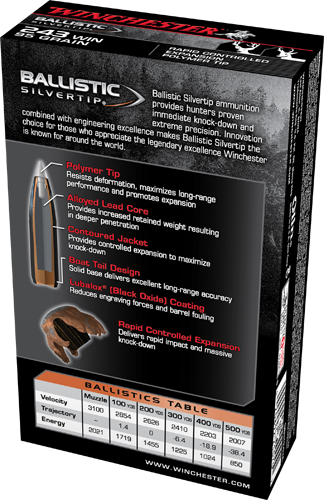 The Ballistic Silvertip's solid based boat tail design, polymer ballistic tip, and contoured jacket deliver excellent long range accuracy and reduces cross-wind drift. The hard alloy lead core ensures proper bullet expansion. Proprietary Lubalox (Black Oxide) coating reduces bore wear. Use for hunting big game with thick or thin skin such as whitetail and mule deer, antelope, black and brown bear, elk, moose, and caribou.